You're tall. You deserve designs that fit well. Six8 Clothing Company is here for you. At 6'5" and on the lean side (200 lbs. ), my experience finding clothes that fit has been frustrating to say the least. Pants are not long enough, or the waist is too big, or the shirt's sleeves are too short. It's tough finding clothes that fit. But Six8 is awesome! I like that I can browse everything they carry and know they have my size. Six8 was founded in 2012 with the vision to deliver style and proper fit to the tall, fit man. They design their line of casual clothing with unique features that separate them from the rest. Not only does Six8 ensure that each garment has the proper length. For most guys up to 6’7” like myself, the Tall size (LT, XLT, etc) is plenty long. 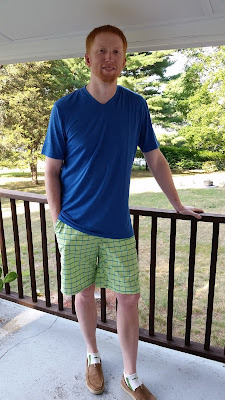 For the guys 6’8” and up, consider the Extra Tall size (L-XT, XL-XT, etc) to get an additional 3 inches in body length and 1.5 inches in sleeve length! If you're tall and lanky like I am, look no further. 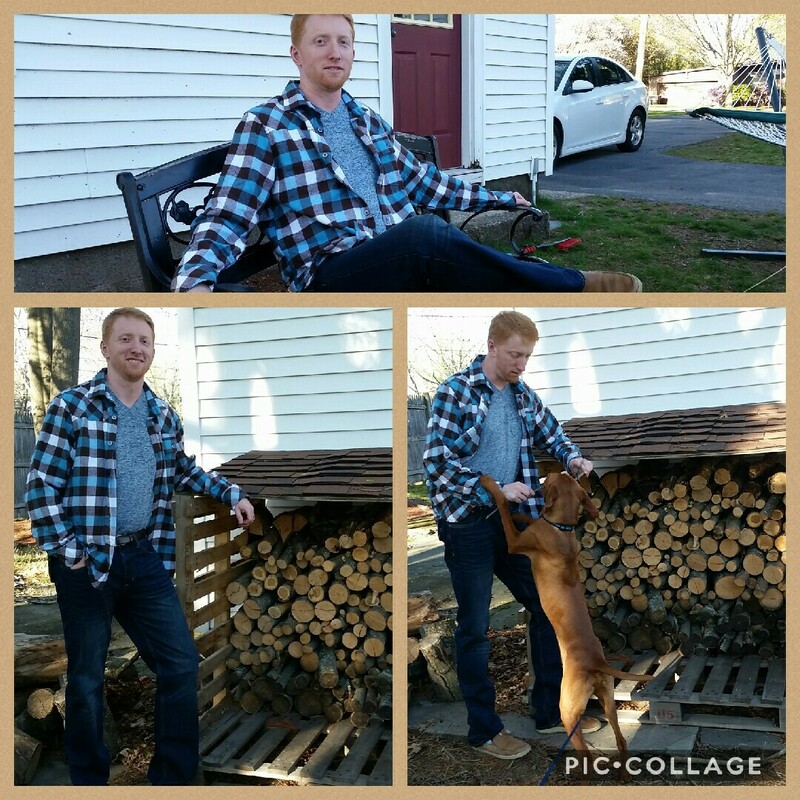 I've got the slim dark rinse jeans and the denim fabric is made in one of the oldest, still operating mills in the U.S. - you’d be hard pressed to find a better quality fabric for your tall jeans. I really like the dark rinse jeans, and all the Six8 jeans in general are made true to size. Now, true to size with pants is a bit different. Let's say you wear a 36 inseam... well, a lot of companies call it a 36 when really your inseam is 34 or 35. Nobody wants to tell someone they have a huge size. With Six8, your 36 inseam will truly be 36, which means it might be a hair longer than you'd expect. And this is great! Too often my pants are never quite long enough, which if you're tall you totally understand. Finally the length is there and my jeans are comfortable. And let's not forget the shirts. Six8 carries a collection of tall tees, flannels, and polos, and I've had the pleasure of trying the long sleeve flannel shirt in blue & brown as you can see above. They're plenty long in the sleeves, which is crucial for me. When I stretch out my arms the sleeves still cover my wrists. The wrist test is how I determine if a shirt fits me well. I also own the v-neck tee in blue. The fabric is made in the U.S. and is a soft blend of poly/rayon/spandex. And I mean soft. There's no cotton in the blend whatsoever and the tee drapes nicely with just a little bit of cling. It might be the softest tee I own, and I'll probably buy another color. So who wants to win something? The guys at Six8 Clothing and I have partnered up to give away a $50 Amazon gift card to one lucky Giveaway Guy reader. Catch my TallSlim Tees giveaway last summer? I'm back with more to share from these guys. If you're tall then you might like this brand. I like that I can browse everything they carry and know that something will fit just right. 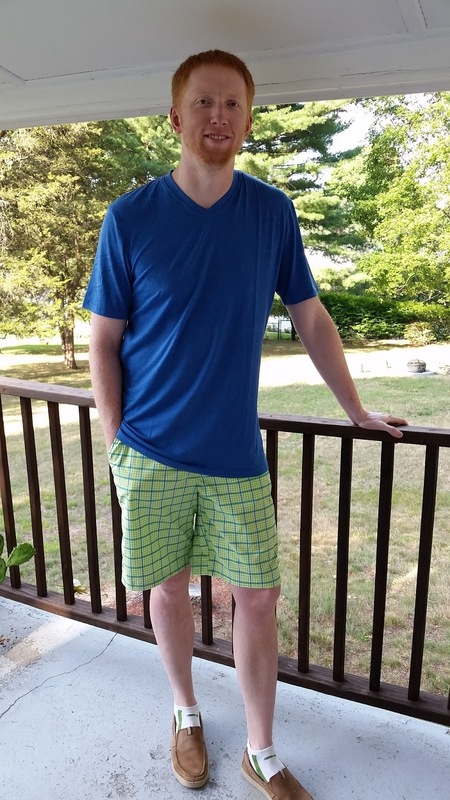 The shirts come in a variety of sizes, styles, and colors for men 6'0" to 7'0." Sorry, ladies, nothing for you, but keep TallSlim Tees in mind for the men in your life. TallSlim Tees has a new version of the Dry-Lite tee. The second generation Dry-Lite has been redesigned with a tencel, polyester, and spandex fabric blend that will drapes well on my lean frame. This new material is durable and moisture-wicking while being soft, light, and comfortable. These shirts have a tighter, more athletic fit. You’re going to love working out in one of these! 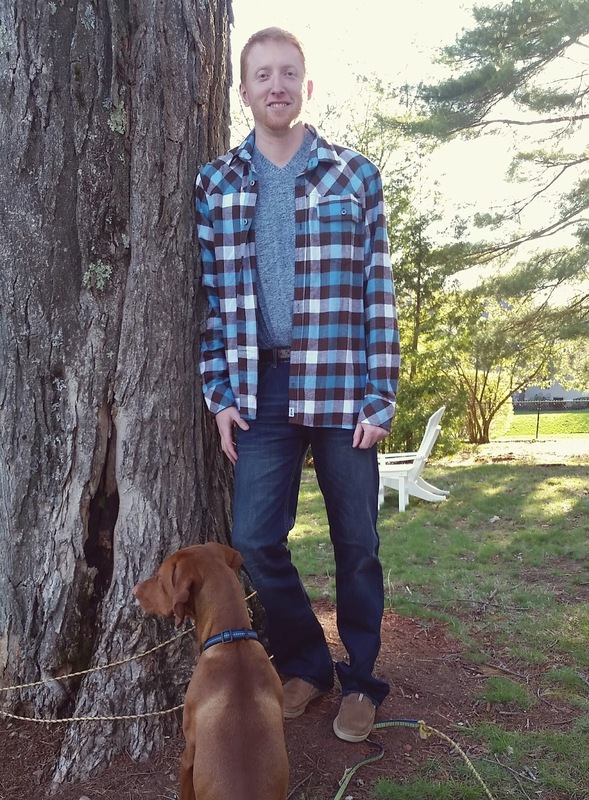 As you might expect, TallSlim Tees and I have partnered up to give something away! One lucky Giveaway Guy reader will win a Dry-Lite 2.0 Athletic Shirt in your choice of size and color. If you missed my Sony headphones giveaway a few months ago then you're in luck - I'm back with another pair. When I last wrote about this particular Sony model, it was the #7 best seller in the on-ear headphones category on Amazon. Three months later the MDRZX110 ZX Series has dropped to #8, but still well-received by a lot of Amazon consumers. More than 2,800 reviews as of this writing... and counting. I'm going to give away these on-ear headphones in black to one lucky Giveaway Guy reader. I'm back with some cool Spartan Race news and a giveaway! Time to start planning for races in the spring and summer. Spartan Race has races all over the U.S., and it doesn't matter if you're in a rural area or an urban area. The races are all over the place, so consider signing up. There are also races inside of MLB ball parks, which give you the chance to run throughout the park and even on the field. I got to run on the warning track at Fenway. The news recently is that Marriott is now the official Global Hotel Partner of Spartan Race. Marriott Rewards is offering Spartan Race participants around the world exclusive, members-only tips, perks, and benefits. If you're traveling far for a race, or just want to make a weekend of it, stay with Marriott near the location of your race and earn rewards. I like to book a hotel room the night before a race when the race is a couple hours away. It's more convenient that way so I don't have to drive a long ways for a 9 AM start time. You can join for free as a new member of Marriott Rewards where you'll get a race registration discount, free VIP bag check, and a $5 coupon towards Spartan Race merchandise. There are a ton of new races for 2017 and there are season passes for unlimited race entries too. With the season pass you can race as many times as you want. Do yourself a favor - put on your big boy pants or big girl pants and sign up for a race. I'm the first to admit I don't have a tough mindset, but I feel #unstoppable after finishing a Spartan. So get the lowest rate on your Marriott stay at participating properties near Spartan Race locations. Here in the Boston area there's a handful not too far from Fenway where I'm planning to do the race. Chances are you'll find some Marriott locations close to you too. Now... who wants to win stuff? The folks at Spartan Race and I have partnered up to offer up a free entry to any 2017 Spartan Race in the continental U.S. AND either a $50 Airbnb or Hotels.com gift card. That's a total value of about $250! To be unstoppable, first you have to get started. 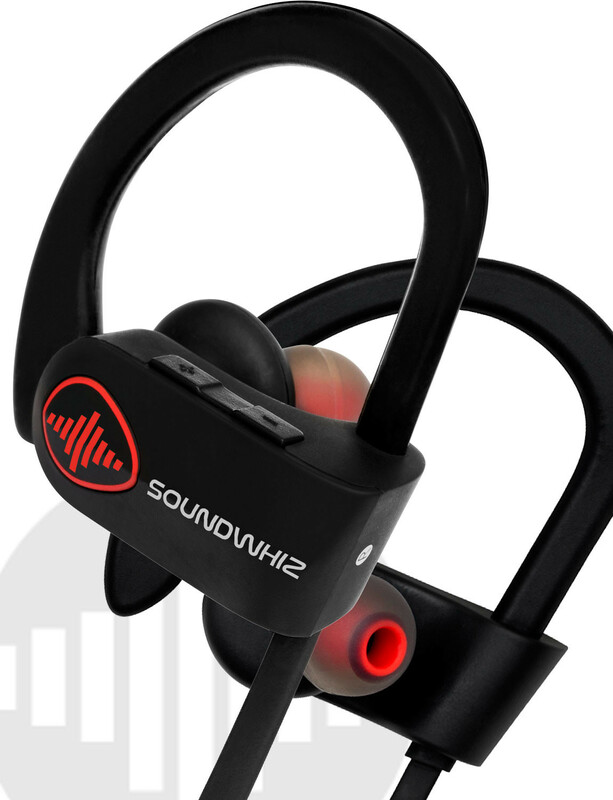 SoundWhiz makes sports audio their passion and strives to make women feel unstoppable. There is no better way to get motivated than by working out with music! SoundWhiz has been working with running coaches and PTs around the world to create the free AtomiQfit program. Beginning with a 10-part 'Get Up & Run' Guide, they take you on a journey from couch to 10k. AtomiQfit is packed with expert tips, guidance, and challenges you won't find anywhere else. Mother's Day is coming up you know. Maybe you can get your mom motivated to get fit and run this summer. 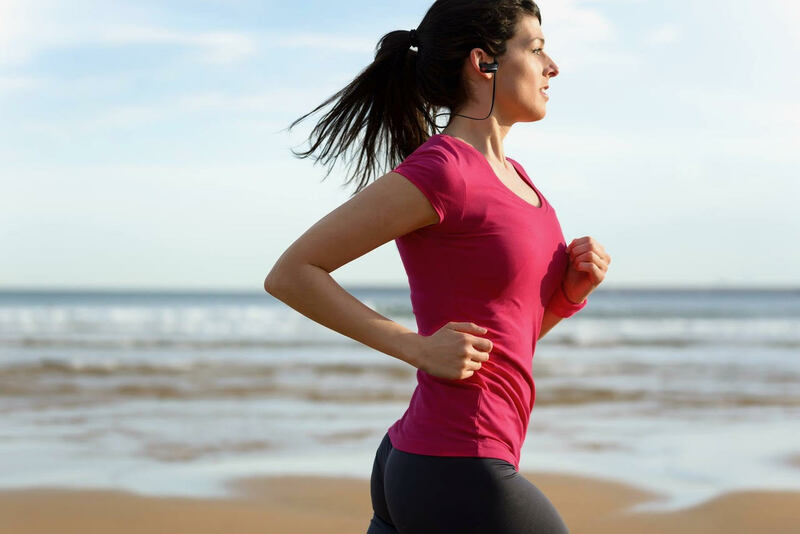 Join the free AtomiQfit program and you'll get 15% off the most comfortable running headphones for women that last all day. Enjoy music, exercise, and stay connected via wireless with long battery life. I have the Turbo wireless headphones, which are great for both women and men of course. The headphones give me the flexibility and freedom to work out anywhere (wireless), in any weather (waterproof), with great sound. AtomiQfit covers five surprisingly common mistakes made by runners, male and female, and what you can do to avoid them. As for compatibility, the wireless headphones work with just about any Bluetooth device - Android, iPhone, smart phone, PC, Mac. Consider buying a pair as a gift for the woman in your life! If you're in need of a book that's refreshing, ignore the mainstream junk and look to Julie C. Gilbert for your next read. 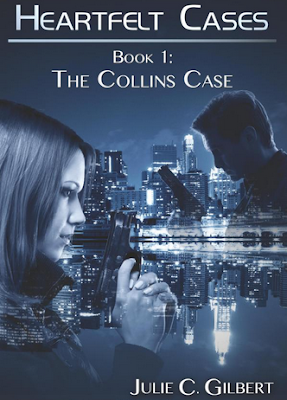 The first book in her Heartfelt Cases series, The Collins Case, is one of the more popular books in her catalog. The book combines suspense, drama, and Christianity in an entertaining manner. Working for the FBI certainly isn’t a “normal” job, but Special Agent Julie Ann Davidson has never encountered a case as personal as this one. 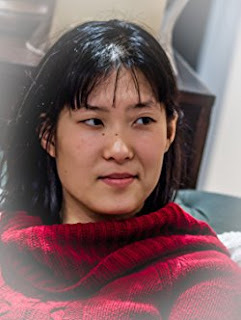 Although not officially assigned to the case, Ann and her partner, Patrick Duncan, take up the cause of finding Rachel, Jason, and Emily Collins. As if that task wasn’t enough, Ann and Patrick also have a baffling case of internet thievery to investigate. Who is Christopher Collins and what about his past is endangering his family? Where are Rachel and the kids being held? Where is God in the midst of chaos? Will Ann and Patrick arrive in time or will they find only pain? If you remember my steam cleaner giveaway with HomeRight last summer, thanks for sticking around. I'm happy to say we're back with another steam cleaner to offer one reader. DIY projects are HomeRight's focus. HomeRight is confident their products and tools can help make your project easier, faster, and neater. You can take care of a lot of stuff with the SteamMachine. Aside from floors and walls, try attacking your kitchen counter top, stove top, and bathroom fixtures. 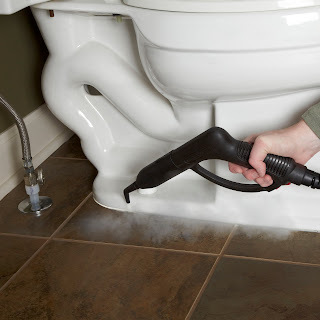 Personally, I feel the bathroom has the most germs, so rather than a sponge or scrub brush for the floor, I reach for the Model 53 steam cleaner. Does your home need cleaning?! 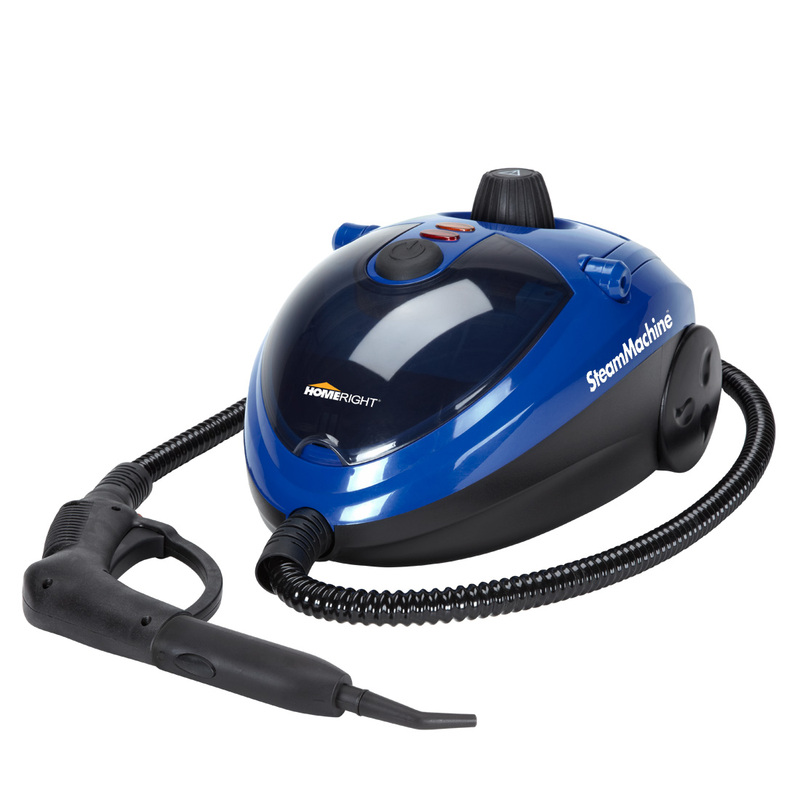 The folks at HomeRight have been gracious enough to offer up a SteamMachine Model 53 to one lucky Giveaway Guy reader. You're not human if you haven't seen any of the Star Wars movies! 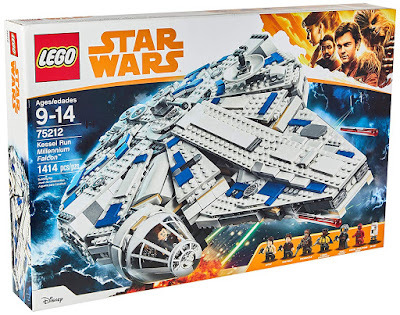 And now that Disney owns it they've really been milking it. There's more to come still. I saw Rogue One: A Star Wars Story in the theater with the fam. The wife fell asleep of course, but I thought it was pretty darn good. Highlight this next sentence to unveil a spoiler - it's a shame like every character had to die in this one. What the hell? Did you know Rogue One was released on DVD recently? If you don't own it, stick around. Now, if you haven't seen it yet, that's OK. There have been a couple trailers and I suggest watching this one. Prepare for goosebumps. 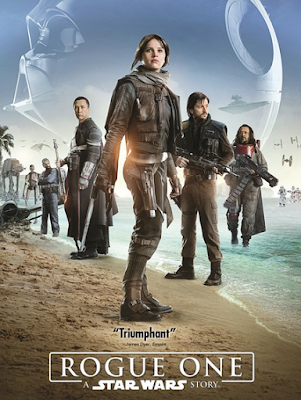 Rogue One takes place in a time of conflict (as Star Wars often does), and a group of unlikely heroes band together to steal the plans to the Death Star. As most of us know, the Death Star is the Empire's ultimate weapon, and it looks like Darth Vader will make an appearance. In celebration of the most beloved fantasy series, one lucky Giveaway Guy reader will win Rogue One: A Star Wars Story on DVD. I've posted about Larabar a few times before. The bars are gluten-free, non-GMO, vegan, soy-free, and dairy-free. They're pretty good despite the lack of all those things. I have IBS and dairy is one of my biggest triggers, so there aren't a lot of snacks that are tasty and fun to grab on the go. Larabar, however, has 22 flavors which is a pretty big collection if you ask me. Chances are they've got a flavor you'd like. What is irritable bowel syndrome (IBS)? It's a common disorder that affects the large intestine (colon). IBS commonly causes diarrhea, constipation, and a lot of abdominal discomfort that I won't sicken you with. 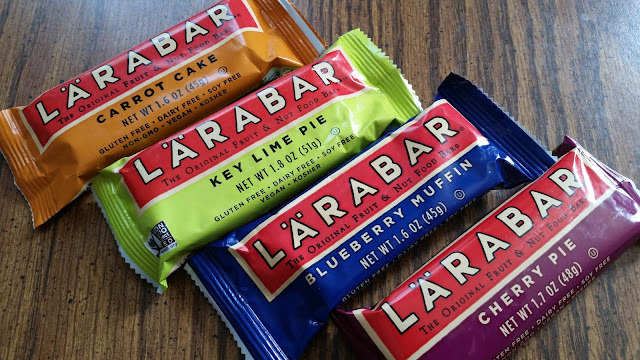 Back to Larabar. My favorite flavor is blueberry muffin. It's real fruity, rich, and tastes great. You've got blueberries, cashews, dates, lemon, and vanilla. So who wants to win some grub?! Up for grabs is box of 16 bars (any flavor) for one lucky Giveaway Guy reader. Check out the 22 Larabar flavors.